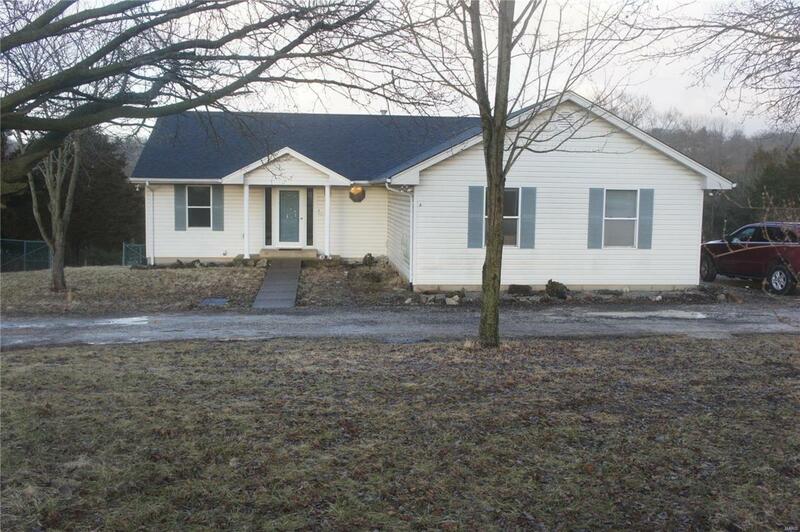 Beautiful open floor plan ranch home on 1.23 acres, fenced with gates. Backs to trees, circle drive, dead end private street. Home is ready to move in with fresh paint throughout! Includes a large master bedroom with master bath, including a large soaking tub and separate shower. Kitchen is open to living room and dining area. Dining area has a bay window that overlooks large back yard. Home also has a deck and a patio at walk out basement french doors. No HOA restrictions, large lot with two work sheds and plenty of room to expand. Basement includes walk out, french doors, professionally finished with a kitchen, pool table area, Family room area, office, lots of closet space and a full bathroom. Home has been kept up by owner but the deck needs some attention. Listing provided courtesy of Custom Realty. Listing information © 2019 Mid America Regional Information Systems, Inc.